Poetry: Free Verse “Unsung Heroes: Emilio” | Victor D. López, J.D., Esq. Republic collapsing under the weight of its own incompetence and corruption. You were warned by friends of your imminent arrest and offered passage back to the U.S. or to Buenos Aires where so many of your friends had already found refuge. And were sentenced to be shot as a traitor at La Plaza de María Pita. And one of them opened your cell door on the eve of your execution. His cellar and made a trip of many miles on foot to find your wife. And asked her to send some clothing and some shoes to replace your dirty rags. You eldest daughter, Maria, insisted in accompanying the stranger back on foot, taking Clothing and what provisions she could quickly gather and carry to you. Find in the fiercely independent Galicia under the yoke of one of its own. But mostly you lived in the woods, with active guerrillas for years. Whose greatest crime consisted of being on the wrong side of a lost cause. I hope it brought you some comfort to know you were on the right side of history. It brought none to your wife and none to your youngest children. In the middle of the night and left wearing dad’s old, clean clothes. Mom’s room all night and was gone before they awoke the next morning. Seeking to use their innocence as a weapon against you. A hard working girl beneath your social station in their eyes. Though not freed of its chains. You were spared the war’s aftermath. Your wife and children were not. No books record your name. Most of those who knew you are dead. Sada that holds your ashes, and those of your eldest son, Juan, and second-Eldest daughter, Toñita, who died much younger than even you. 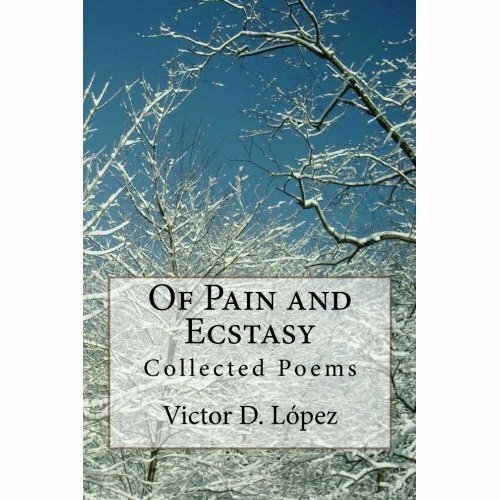 From Of Pain and Ecstasy: Collected Poems (C) 2011 Victor D. Lopez.